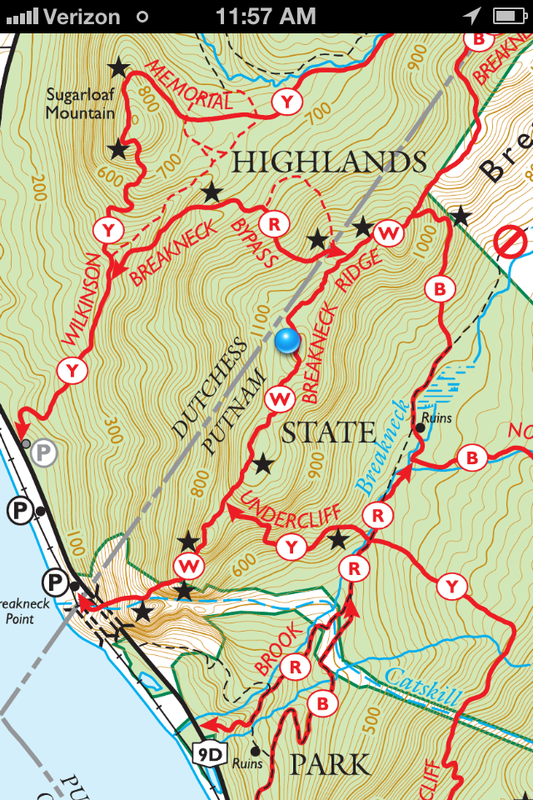 The hike on Sunday gave me the first opportunity to use a new app on my iPhone in the wild – Avenza PDF Maps. Avenza PDF Maps is (unsurprisingly) a map application for iOS. The key though is that it doesn’t come with it’s own maps – you download apps using its inbuilt store. The New York-New Jersey Trail Conference have a great selection of hiking maps near me, and some of these are available through the Avenza app. I bought the ‘East Hudson (North)’ map for my hike at Breakneck Ridge. I’d definitely recommend this if you can get good quality maps for your hikes, even though it does feel like I’m ‘cheating’ a little!